These flashcards help pre-reading or newly reading students hear, play and create many more harmonic sounds, easily and earlier. These keyboard representations of all major, minor, diminished and augmented triads (root position) give students valuable experience with focusing on the musical sound before symbolizing the sound. The cards enhance the transition to notation-reading, and add a valuable means of reinforcing chord recognition. 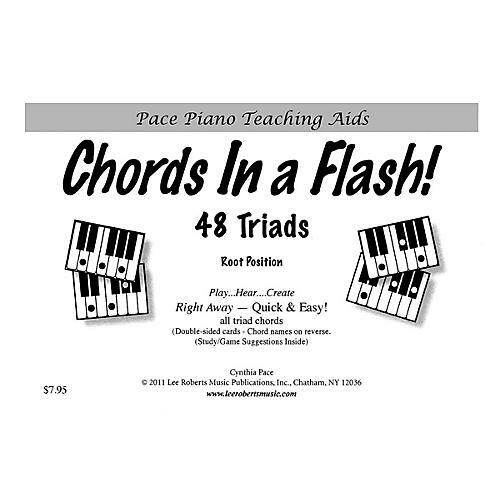 Adult beginners eager to play chords right out of the gate can do just that with these cards. Helps beginners, young and old, expand their tonal exploration to include sounds of augmented and diminished harmonies, and to quickly put together improvisation over various chord progressions such as I-IV-V-I.